The best window of opportunity to recruit apprentices occurs between January and April each year – this is when high calibre students are making decisions about their future – whether to go to university or enter the world of work. The Future Talent Programme is a talent attraction, recruitment and development service that helps employers gain first access to ambitious, motivated A-level/BTEC students in Manchester up to six months before anyone else. Year 13 students (18-year olds) who are due to leave full-time education in July. What Apprenticeships are included on the Programme? Pre-employment training – prior to starting their apprenticeship, all our apprentices will attend a three day ‘work preparation’ bootcamp to help with the smooth transition from full time education to the world of work. Personal career coach – apprentices are allocated their own personal career coach who will support your apprentice and develop their skills, knowledge and behaviours throughout their journey – providing you with regular feedback on progress. Dedicated account manager – employers will be allocated a dedicated account manager to support your day-to-day requirements and build long term relationships. Performance management – to facilitate feedback and accelerate learning we use a robust 360-degree performance management tool called APD. Development workshops – apprentices will have the opportunity to attend workshops at the Academy to develop their knowledge, skills and behaviours. 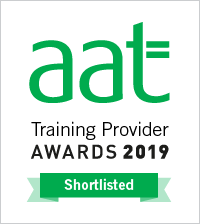 Recognition awards – The Future Talent programme recognises and acknowledges the achievements of apprentices through the ‘Apprentice Star’ Awards. Why should you recruit an apprentice? Thanks to government contributions towards training and incentive grants, more and more employers are now embracing the model as an efficient way to grow and develop their workforces. The work apprentices do helps to free up your other staff so they can spend more time on higher value work which in turn increases business performance and productivity. Due to demand and supply, some businesses in GM are now finding it more difficult to recruit people with the skills they need at the price they can afford. Growing your own talent and transferring the learning from your more experienced staff is the latest thinking on how we can bridge these recruitment and skills gaps. Young people are keen, eager, and quick to learn so you can train them up with ease! Apprentices are loyal to those who give them their first job and invest in their development. By starting as trainees they gain a thorough in depth understanding of the business which makes them invaluable as they progress upwards. Most employees seek the opportunity to develop their skills. By employing apprentices you can create more opportunities for your existing staff to develop their management skills which helps to increase employee engagement and staff retention.